Whether you rely on it for your daily meals or you just need a convenient way to pop some popcorn, everyone needs a microwave. 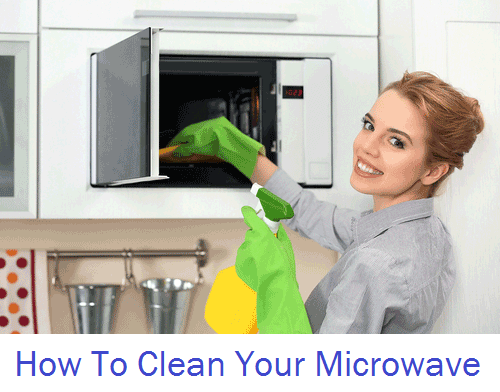 However, there are thousands of counter top microwaves on the market, which makes choosing one a difficult decision for you to navigate. But have no fear! This article is here to give you the information you need on the best options to make the right choice for you. 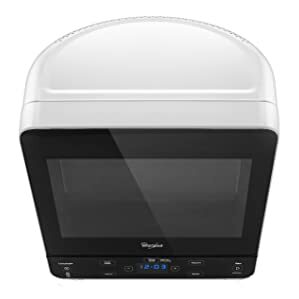 Check out our counter top microwave reviews below. 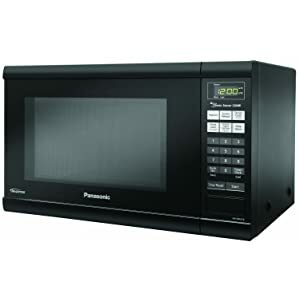 Panasonic NN-SU696S is one of the top rated microwaves on the market. Before we get to our microwave reviews, let’s go over the important features. As is the case with any product, there are multiple features you should consider when buying a microwave. Below are the primary features you should examine on any model you are considering to determine a good microwave oven for you. There are microwave ovens as small as 0.5 cubic feet and, on the industrial level, there are microwaves that are larger than semi-trucks. You should consider (1 ) the external size to fit your kitchen space and (2) the turntable size to check what plates you can fit. Wattage refers to the power output of the microwave and heating strength. 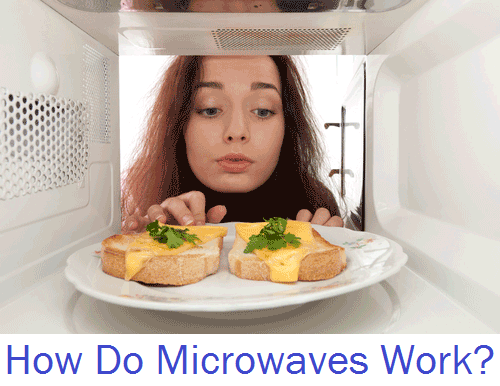 The majority of commercially-available microwaves are around 1,000 watts. However, there are 600 watt microwaves on the low end and up to 1,650 watt microwaves on the high end. Energy efficiency is important to save on your power bills and reduce your impact on the environment. Like most household appliances, there are energy-efficient microwaves on the market. Sensor-based cooking is becoming increasingly common in microwaves. These sensors determine the temperature and density of the food, and then set the cook time based on their reading. The vast majority of microwaves come with pre-programmed settings that allow you to simply hit one button and perfectly cook your food. There are also child-lock buttons that ensure only adults are using the appliance. 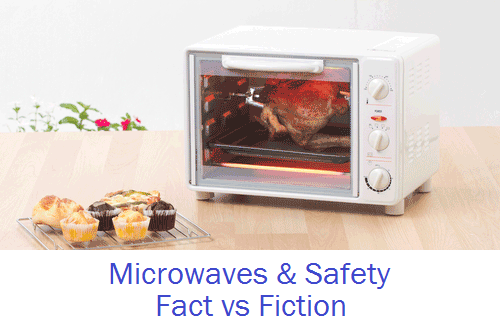 Microwave ovens with combined convection ovens can bake and brown food along with normal microwave functions. As a result, they are larger (with more components) and more expensive. So, we just went over the features you should consider, but how they impact your buying decision will depend on your unique needs. 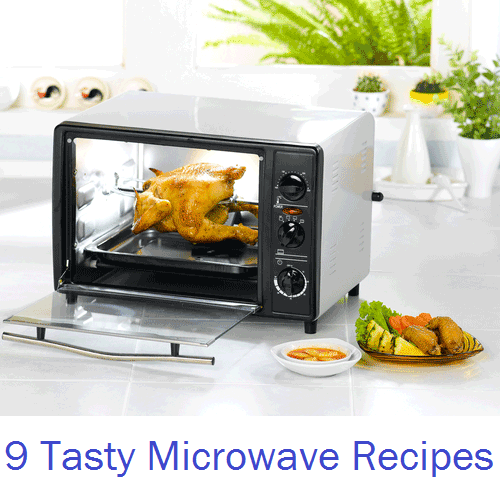 Let’s take a look at each of those features and how you can figure out the best microwave oven for you when you read our counter top microwave reviews below. Size: To determine the correct size for you, consider a few variables. First, how much space do you have for the appliance? If you are renting or are in a dorm, you might need the smallest option possible. Second, how many people are in your family? You can expect that the more people living with you, the more you will need to cook at one time, and the more internal size you will need. Finally, what type of cooking do you plan to do in the microwave? If you are only going to be heating cups of soup, smaller microwave ovens are fine, but if you want to heat casserole dishes, you will need the space for them to rotate. Power Output: The wattage you require will be determined by two factors: your electrical set-up and the speed you require for cooking. The majority of homes should be able to handle 1,650 watts, but an older home may not. 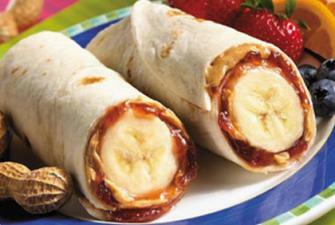 As for speed, the more watts the microwave has, the faster the food will cook. Energy Efficiency: In general, energy efficient microwaves will not make you eligible for a tax credit. The primary reason for choosing an energy efficient model is to save on your power bill and because you are concerned about the environmental impact. Sensors: Sensors can be very helpful for reheat and defrost functions. But for auto cook options, what you need to ask yourself is if they are vital. In most cases, you will only need them if you plan to frequently cook large items that take a while to warm through and are difficult to check the temperature on. Controls: Buttons should be easy to use and in general, pre-set buttons are not a big deal. However, if you are trying to help a child gain more independence, they can be quite helpful. Child-lock buttons can also be useful. Some models offer dial controls which are a great choice for seniors or the visually impaired. Convection Oven: Why might you want a microwave that is also a convection oven? If you are in a space that does not have room a traditional oven, this allows you more freedom in your cooking. Additionally, if you often host holiday dinners, it gives you an extra spot for baking. Complies with 2016 DOE Energy Conservation Standards. Great looking, straightforward, user-friendly functions, decent power output and size, all at a great price. The Panasonic NN-SU696S is our top pick for best all-round value for money. At 1.3 cubic feet and 1,100 watts, this microwave is large and powerful enough to handle the needs of most homes. It comes with a range of sensor functions so you can easily reheat, cook, keep warm or defrost your food with just one push. Although it does not have the higher power output of other models over 1,100 watts and lacks more auto-cook settings, we think this model has plenty of cooking power and features for most homes. It also comes in stainless steel, black or white to match any decor. Also, being a well-known brand with a wide network, it is easier to contact Panasonic if need to use a warranty. Can be used on your countertop or cabinet installed. The biggest advantage of the Westinghouse WCM660B is its budget price and dial knobs, which makes it great for anyone looking for easy-to-use controls. Despite its cheap price, Westinghouse is a widely known brand. At just 600 watts on the highest setting, it doesn’t use a lot of energy, so you will save power and don’t need to worry about blowing a fuse. However, this also means it will take a bit longer to cook your food and you will need to adjust your cooking times accordingly. 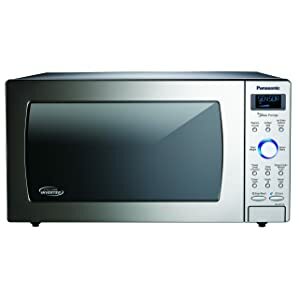 This microwave is on the smaller end at 0.6 cubic feet, which is great for anyone living in a small area like a dorm or apartment. Comes in 0.6 cubic feet and 0.9 cubic feet variations. 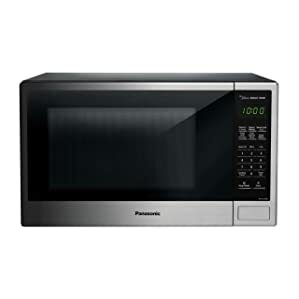 A top selling microwave on Amazon, the Panasonic NN-SN651BAZ has all of the same features as our top countertop microwave pick but with Inverter Technology and a slightly higher price. Inverter Technology is a special feature of some Panasonic microwaves which allows food to cook more evenly and more quickly due to more consistent heating. However, we haven’t really seen this technology take off and it make take more time for widespread use. If you don’t mind paying a little more for this new feature, the Panasonic NN-SN651BAZ is an excellent choice. The most impressive microwave if you are looking to save space, the Whirlpool WMC20005YW is specially designed with a rounded back. This is perfect for fitting into corner spaces in your kitchen which are too deep to be useable for anything else. Despite its small shape, the turntable is big enough to fit 11 inch plates. It comes with 10 power settings and a 30-second quick start button. The drawback is the lower power output at 750 watts, which although stronger than the Westinghouse model, will still take a little more time to cook your food compared to 1,000 watt models. But this also saves you power. Comes in black, white and grey. This model is similar to the other Panasonic models but one of the newest versions and larger. It is able to be cabinet mounted. With the larger size and extra features, it comes with a higher price tag. The Panasonic NN-SD775S boasts 20 auto cook options and Inverter and Cyclonic Wave Technology for cooking more evenly and quickly. Is it really worth it to spend a sizeable amount more on this model for the extra features? For the majority of households, we imagine not. However, if you are looking for the highest quality and money is no object, this would be the model to select. So, which of the above is the best countertop microwave? 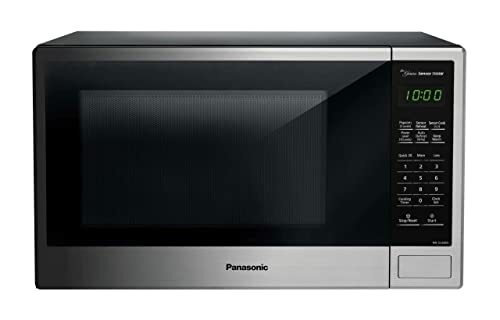 Based on their features and our microwave reviews above, we would pick the Panasonic NN-SN696S for a larger space and the Westinghouse for a smaller space. The Panasonic is great value, effective, feature-packed and easy to use for everyone. However, we also like the Westinghouse because of its size and very affordable price. 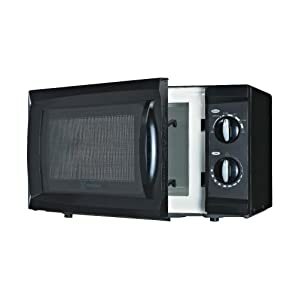 While both models do have their cons, we find that they are easy to work around in most situations, making them the best microwaves on our list.